and new technology platforms, with the reality of limited resources is a daunting challenge for enterprises of all sizes. New concepts like Digital Infrastructure, Software Defined Data Center (SDDC), Software Defined Storage (SDS) and Software Defined Everything (SDE) are driving enterprises’ transition from traditional IT environment, emphasizing on efficiency, reliability and accuracy on one side, towards non-sequential environment emphasizing on experimentation, agility and speed. However, the transformation journey through these two diverse environments without any hiccups is quite challenging. We at Happiest Minds with an intuitive platform- the Digital Infrastructure Transformation as-a-service (DiTaaS) enables a smooth transformation for your IT from traditional to advanced digital IT infrastructure, to meet your next generation digital transformation technology requirements. It transforms your traditional computing environment into a truly agile enterprise infrastructure and improves productivity, flexibility and accelerated time to market on a manageable budget. 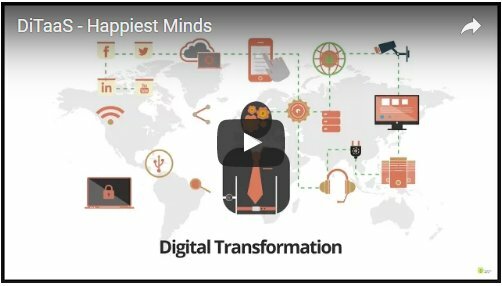 Why Happiest Minds for Digital Infrastructure Transformation? 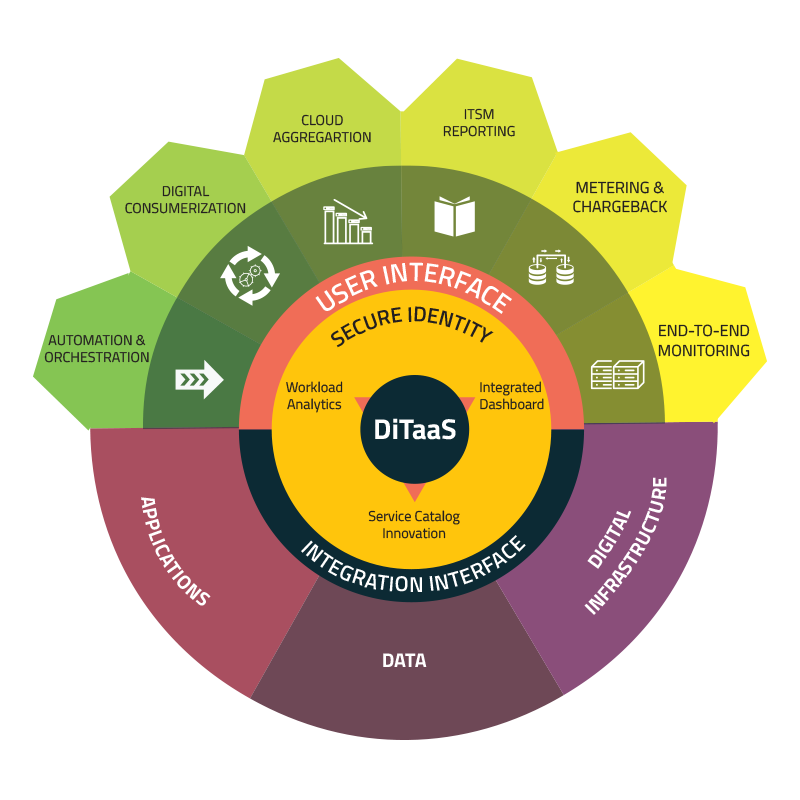 DiTaaS from Happiest Minds enables enterprises to activate a portfolio of infrastructure management, automation, orchestration, along with centralized management of cloud and on-premise services. Facilitates consumerization of enterprise IT-as-a-service with financing and accounting, creating a market place. 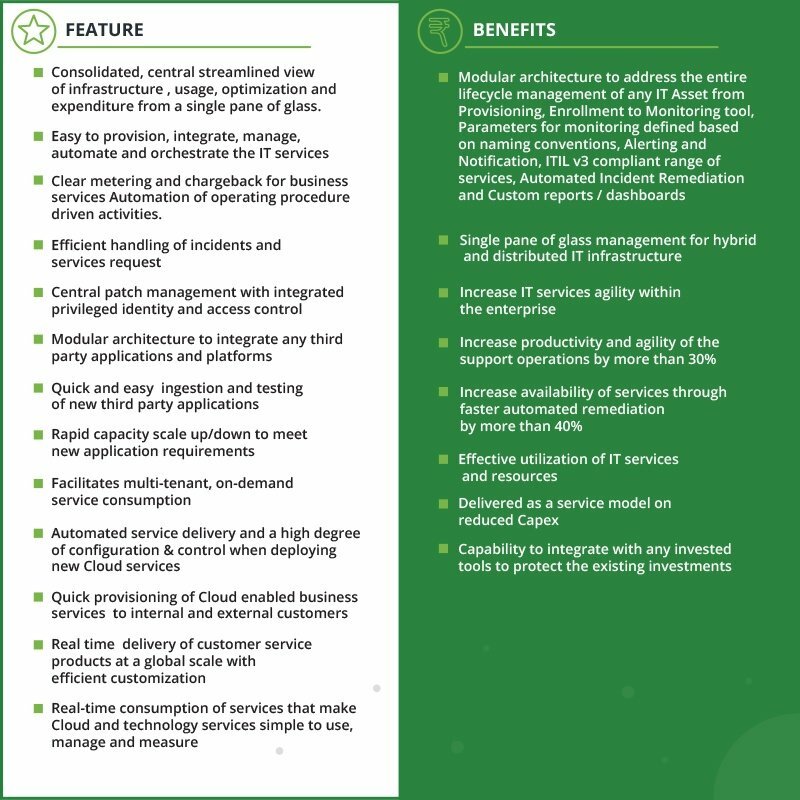 Facilitates software defined components like Compute, Storage and Network offered through a marketplace that brokers multiple cloud platforms.